All information, data, text, software, music, sound, photographs, video, messages, blog posts, user comments and other materials, whether publicly posted or privately transmitted here, are the sole responsibility of the individual source of said content. Individuals using this site are entirely responsible for the content they upload, post, e-mail, transmit, or otherwise make available here. GravySalad Inc and 3RING.com are in no way responsible for the content posted here, and therefore cannot guarantee its accuracy, integrity, or quality. By using this site, you may be exposed to content that is offensive or objectionable. Under no circumstances is GravySalad Inc and 3RING.com liable for content that includes errors or omissions, or for loss or damage of any kind incurred as a result of using this site’s content. GravySalad Inc and 3RING.com reserve the right to remove any and all content posted on our (this) website or blog. If you have any comments or questions regarding our content policy for GravySalad Inc and 3RING.com, please contact us here. 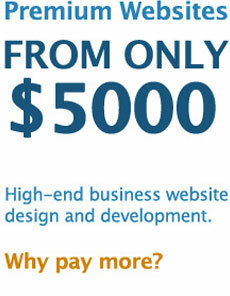 "3RING has been our go-to web design and development partner for almost 10 years. We wouldn't trust anyone else." "3RING has been there right away to save the day on a few occasions that have been mission critical for us." "No headaches. Awesome service. Quick delivery. We should've had 3RING replace our old web designer sooner." "3RING is always on top of the latest technologies that help take us to the forefront of websites in our industry." "3RING helped enhance my business's image to speak to the type of clients I wanted to attract." "Paul at 3RING made getting my website built not only an enjoyable process, but fast, easy and inexpensive." Copyright © 2019 3RING.com All rights reserved.